Is there any room for Image only sets in the WSM portfolio? As far as I am concerned there is! 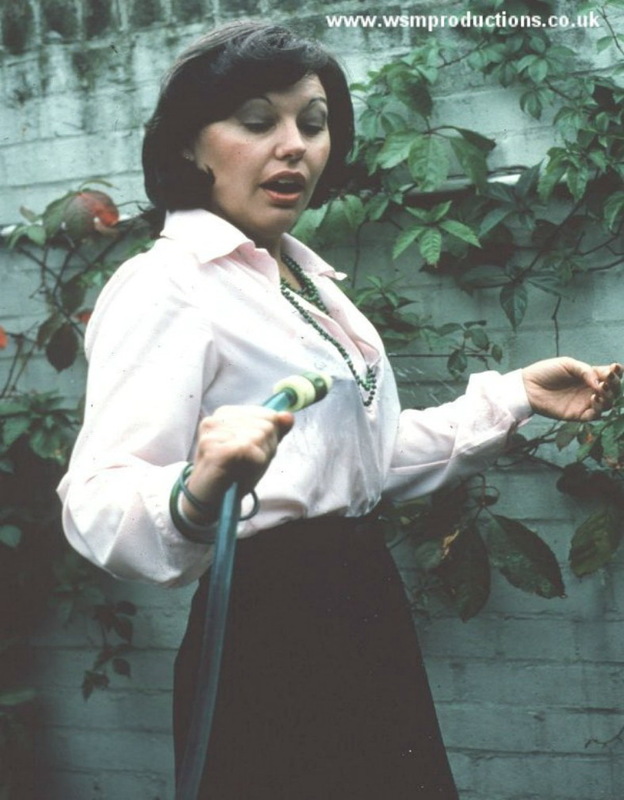 For Wetlook, we go back to our earliest stirrings in commissioning a set with Jane titled ‘Hose-pipe on patio’. Image set W014 now has 34 enhanced pics and was shot in 1978. Are you aware that WSM now have 271 movies and 441 image sets available for the price of a Subscription! What a back catalog that is!But no need to pick just one or two as they are ALL available for the cost of a Subscription. PLUS 83 New ‘WSM Movies & Images’ with 1/3rd available on the Subscription site too. We have yet another look at Jane, one of the original WSM start-up girls. She did several shoots resulting in sets of colour slide shots. Jane did not appear in any video. This week we look at a set shot in 1978 and released in our ‘Wet Shots’ Brochure 3 published 1983. The cost for a normal set of 18 slides was £9.00 in 1983 and there were no preview pics! Using the Retail Price Index, that is the equivalent to £35 in today’s money just for 18 pics! So how ridiculous is it that now you can see 271 movies plus 441 image sets for only £30 on our Subscription site (reducing to £20 after one month)! How is that for technical progress? But in 1983 there were very few Wet shots and almost no Messy shots in any publication. So spare a thought for the difficulties faced by WSM in those early days with no internet and no digital technology. We have enhanced to full screen Jane’s image set W014 which has 34 shots. We show as samples ‘Before’ and ‘After’ shots of this simple set which is available on our Subscription site as Wet image set W014. There has been a loss of quality since 1978, but at least you can still view that original set. 15 vintage movies and 170 normal WSM movies (excluding 24 duplicated joint production movies with Custard Couple). PLUS 45,641 Images in 441 sets (being 160 W + 200 S + 81 M). Click here to see the new better value Join costs!